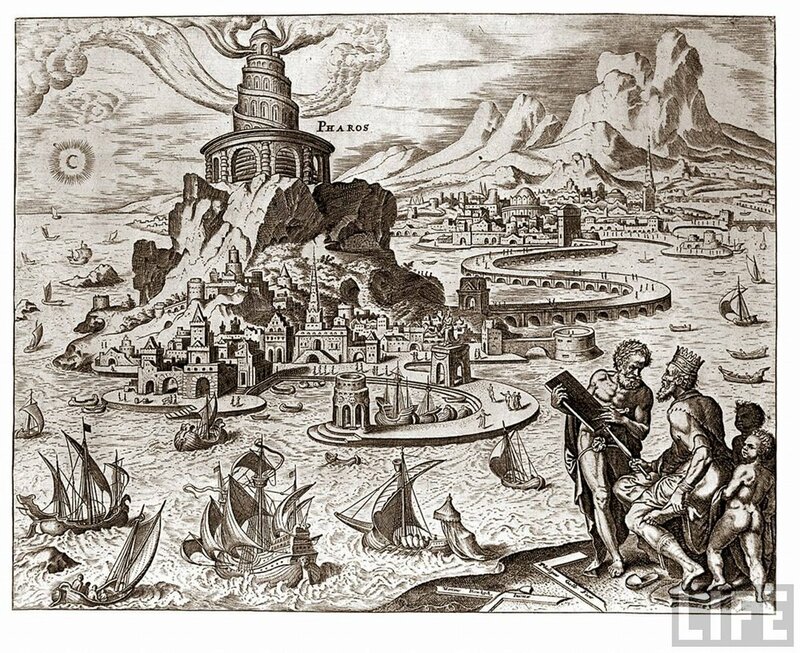 The Lighthouse of Alexandria, also known as the Pharos of Alexandria, was a tower built between 280 and 247 BC on the island of Pharos at Alexandria, Egypt to guide sailors into the harbour at night. With a height variously estimated at between 120–140 m (390–460 ft), it was for many centuries among the tallest man-made structures, and was one of the Seven Wonders of the Ancient World. Lighthouse Of Alexandria (1909 Drawing by archaeologist Hermann Thiersch). Pharos was a small island just off the coast of Alexandria, which was connected to the mainland by a man-made causeway named the Heptastadion, which formed one side of the city’s harbor. 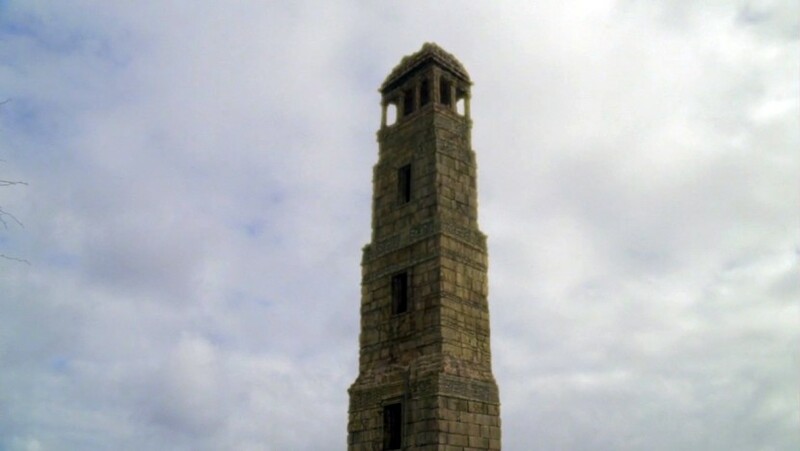 The tower erected on the island guided mariners at night using fire and reflective mirrors, and acted as a landmark by day. It was said that the light could be seen from up to 29 miles (47 km) away, and legends claim that the light from Pharos could burn enemy ships before they reached shore. The lighthouse was badly damaged in the earthquake of 956, and in the earthquakes of 1303 and 1323 was damaged to the extent that the Arab traveler Ibn Battuta reported no longer being able to enter the ruin. Even the stubby remnant disappeared in 1480, when the then-Sultan of Egypt, Qaitbay, built a medieval fort – the Citadel of Qaitbay – on the site of the lighthouse, using some of the fallen stone. Constructed from large blocks of light-coloured stone, the tower was made up of three stages: a lower square section with a central core, a middle octagonal section, and, at the top, a circular section. At its apex was positioned a mirror which reflected sunlight during the day; a fire was lit at night. Extant Roman coins struck by the Alexandrian mint show that a statue of a triton was positioned on each of the building’s four corners. A statue of Poseidon stood atop the tower during the Roman period. The Pharos’ masonry blocks were interlocked, sealed together using molten lead, to withstand the pounding of the waves. The Pharos rises at the end of the island. The building is square, about 8.5 metres (28 ft) each side. The sea surrounds the Pharos except on the east and south sides. This platform measures, along its sides, from the tip, down to the foot of the Pharos walls, 6.5 metres (21 ft) in height. However, on the sea side, it is larger because of the construction and is steeply inclined like the side of a mountain. As the height of the platform increases towards the walls of the Pharos its width narrows until it arrives at the measurements above. … The doorway to the Pharos is high up. A ramp about 183 metres (600 ft) long used to lead up to it. This ramp rests on a series of curved arches; my companion got beneath one of the arches and stretched out his arms but he was not able to reach the sides. There are 16 of these arches, each gradually getting higher until the doorway is reached, the last one being especially high. 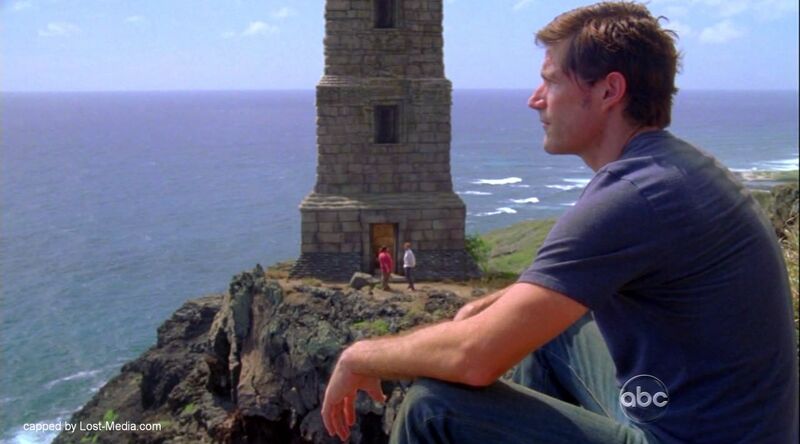 The Lighthouse is an ancient stone tower of unknown origin on the Island. Despite its great age, it appeared to be in excellent condition and in good working order. 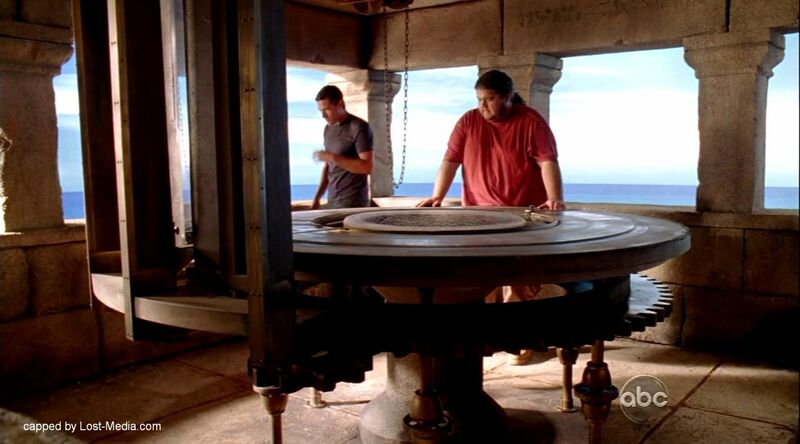 The uppermost level of the tower contained a large firepit surrounded a movable array of mirrors designed to reflect the light out to sea. The orientation of the mirrors is controlled by a system of gears and pulleys. Strangely, the mirrors are capable of reflecting locations off-Island in the outside world. The lighthouse is one of two known locations where a list of Jacob’s candidates may be found.